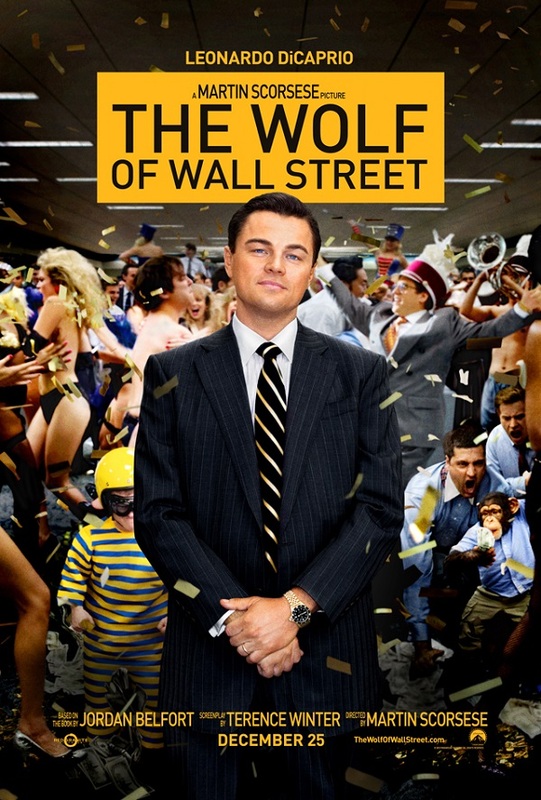 The signature Scorsese-voice-over narration is delivered by broker Jordan Belfort(Leonardo DiCaprio) in The Wolf of Wall Street which guides the viewer through his incredible rise to wealth starting the in late 1980’s to his later fall. Through shady stock dealings and money laundering conducted by his raunchy, raucous, debauched company Belfort lives a life of scamming and adrenaline chasing. There isn’t a drug that Belfort doesn’t ingest with gusto and frightening frequency or a woman either. The narrative voice-over device recalls the final scene of Goodfellas in which Ray Lilotta breaks the fourth wall and speaks directly to the audience. That technique is employed in this film right off the bat, which leads to it not being as powerful. Perhaps the light treatment of the story is due to the nearly unbelievable amount of partying the brokers engage in. 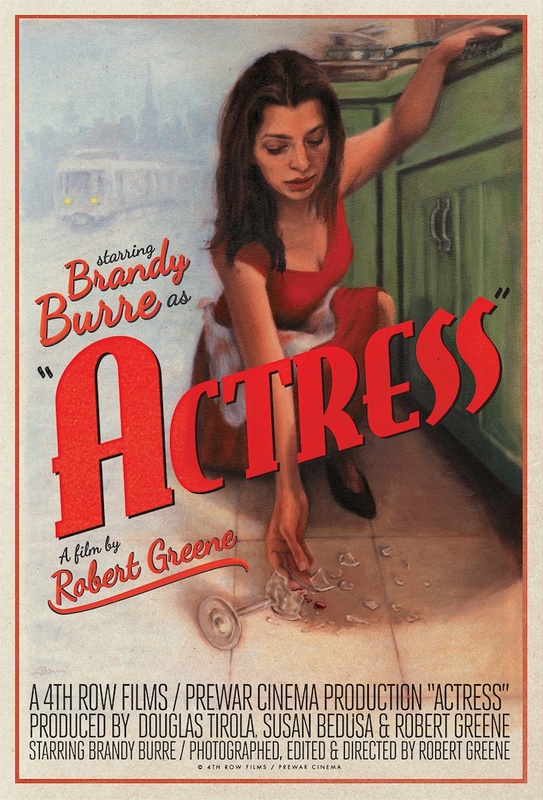 The film abounds with prostitutes and cocaine depicted with filthy abandon. If the framing wasn’t so well done some might dare call this smutty. The ensemble cast is very entertaining, especially the unexpected inclusion of Joanna Lumley who slyly winks at her Absolutely Fabulous past. This film has an ambiguous theme of greed being destructive all the while making it look like a(mostly) grand old time. Watch The Wolf of Wall Street to see DiCaprio; his performance after ingesting antique quaaludes is physical comedic dynamite. Stories We Tell is a documentary directed by Sarah Polley about her family which explores the mysteries of memory. This is a mesmerizing story told through interviews with her loved ones; the center being held by an amazing narrative provided by her father Michael. The documentary shifts and moves into areas one would not expect, with Polley maintaining an always critical eye towards what she is trying to portray. Few documentaries I have watched have such deft power of revelation without aiming to be sappy or shocking. This documentary flows exquisitely, with such care given towards the participants that it is a triumph of love and understanding for Polley. 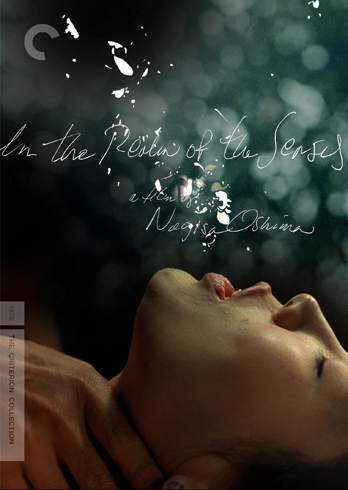 The stories which comprise a family are often bittersweet but no less wonderful and magical, which this film conveys with acceptance. This is a documentary which is subtle, calm and reflects on the complexity of life through an ordinary family, which in turn makes one realize that no family is ordinary. All of our stories are intertwined and produce beauty and life. 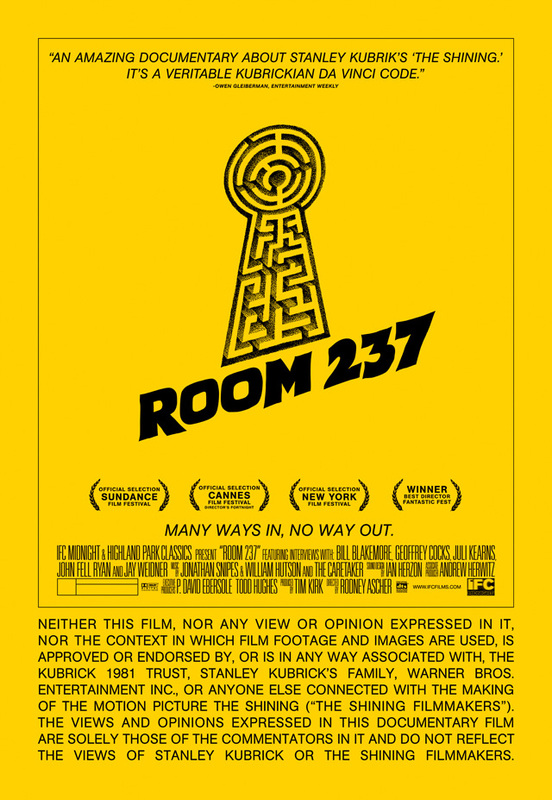 Room 237 is a documentary of film clips from Stanley Kubrick’s films plus others which stitch together the voices of fans of The Shining who put forth various musings about the veiled meanings contained within. The disembodied viewers contend that Kubrick intended The Shining to be about the genocide of the Native Americans, a study of the Holocaust or conversely a confession from Kubrick about his apparent staging of the moon landing. The many ideas and theories point at small details in the set and movement of the camera to bolster dubious claims about Kubrick’s true intent. Pointing out the confusion of the set as a way of causing unease in the audience, which may be missed without rigorous repeat viewings, is interesting but not well-informed. The commentators lift the film up to a pedestal that is deserved yet completely dismiss the very real possibility that Kubrick was simply a good student of film history. The complex sets and symbols of Resnais’ Last Year at Marienbad are mirrored and alluded to in The Shining, yet that glaring similarity is not acknowledged. The reverent and obsessive dissection becomes grating and borderline ridiculous; for example running the film simultaneously backwards and forwards to find some mysterious hidden meaning from Kubrick. It’s the equivalent of finding connections between The Wizard of Oz and Pink Floyd’s Dark Side of the Moon. It’s fun but it doesn’t have intention; the audience is giving added meaning where there may be none.